R.I.P. to Aretha Franklin who had one of the most incredible singing voices of our time. You deserve respect and devotion. She had an unprecedented talent. A previous Facebook posting showed Judy Garland and Barbra Streisand singing together on Judy's eponymous television series in the 60's. It would have been even more of a triumph for Judy to have hosted the Queen of Soul. La Franklin was that and more. 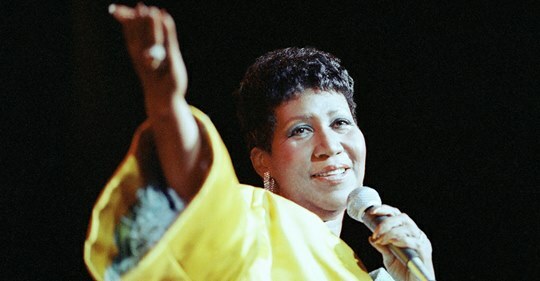 Bravo, Aretha and thank you for changing our world with your talent, beauty and genius. There will never be another like the Queen ! Amen! What a spectacular demonstration of that over the last four days.